Comfortable trimming. Smooth face. Even stubble. This shaver does it all. 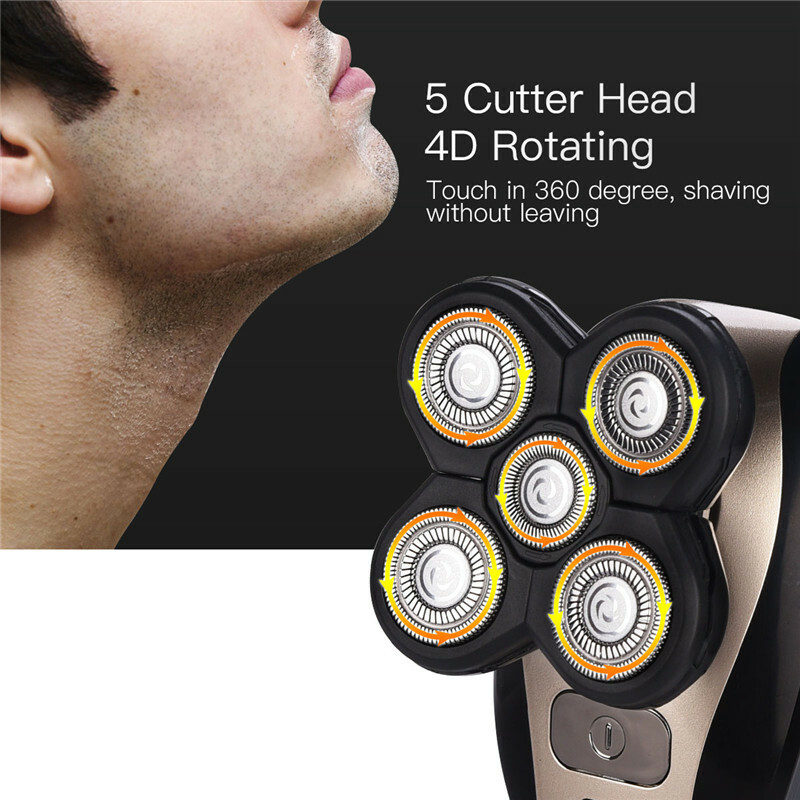 Replace your blunt shaver razor head with this ultra small and portable 4D electric shaver for men! Shave and groom your face with one easy-to-use, 5-in-1 men's shaver. Simply click-on the 5-headed shaver, beard styler, or nose trimmer to get the look you want. Get a convenient, dry shave or a more comfortable wet shave with foam or gel. Face shaver delivers a clean shave with no nicks and cuts. The shaving head flexes in 4 directions to easily follow the curves of your face. Get a shave that glides extremely smoothly over your skin. The special metallic rings have an anti-friction coating for superb gliding with our beard shaver. Comfortably removes unwanted nose and ear hair. A powerful, easy trim with no pulling guaranteed with Kemei trimmer for men.